Kathy Rain is a typical college student lost in a haze of booze and confusion. Her utterly routine life gets a rude awakening when she learns of her estranged Grandfather’s funeral. Like a good granddaughter, she heads back to her home town to see him laid to rest. She learns that her Grandfather was inexplicably discovered in a vegetative state not long after she left town. A simple query into his ailment leads her into a long mysterious journey. 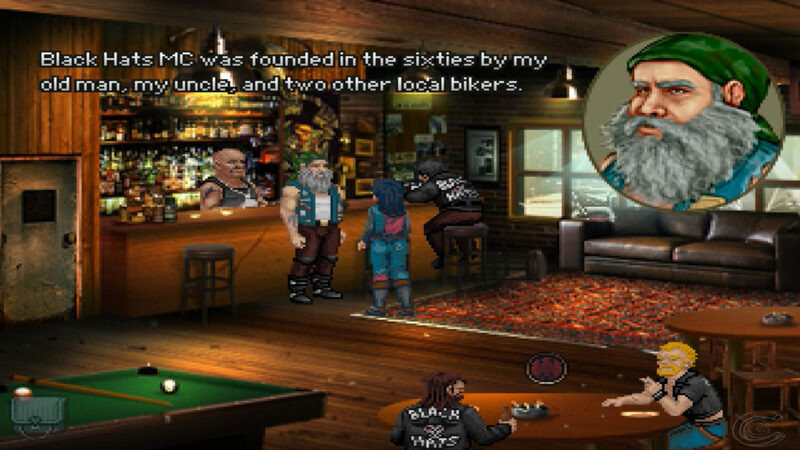 Kathy Rain is very reminiscent of adventure titles like Gabriel Knight and shows like Twin Peaks. It follows Kathy through a grounded mystery with some supernatural elements thrown in. I played the game for five hours straight trying to understand where the story was heading. There were areas when the game introduced supernatural elements, but the time surrounding these small moments often headed into muddy waters. Kathy obviously had a troubled life growing up with her mother after leaving Conwell Springs and has various bad dreams due to it. The game touches on these dreams of her past so vaguely you might start to wonder why any of it was included. The dream events eventually flesh themselves out near the end but I had already forgotten most of the elements by that time. I’m not saying that the story itself isn’t compelling because it’ll keep you hungry for that next piece of the puzzle. But if you aren’t a patient person you could lose interest in the tale in just a few hours. I’m trying not to spoil anything so I’ll just say that everything Kathy goes through is extremely mundane. For instance, she’ll have to use a floppy disk to steal an IT Tech’s password. Make a Bloody Mary to gain a Motorcycle Gang Leader’s trust. Needless to say, Kathy spends a lot of her time in low risk situations trying to solve a mystery that tries its hardest to stay hidden. Speaking of the puzzles, they are fairly appealing for the genre. Everything except for the damn briefcase puzzle is intuitive and engaging. Seriously, the briefcase brainteaser doesn’t make any damn sense compared to the rest of the riddles in the game. Every other puzzle gives us a logical idea of a problem and enough explanation on how to solve it. You won’t have to do any pixel hunting in this game due to the reasonable puzzle structure. Kathy Rain is very straightforward about what it wants out of us as players. It keeps the story moving which works wonders because of the obvious pacing issues with the story. The brainteasers are well thought out and a contain some out of the box thinking compared many adventure titles. One of my favorites involves ripping words out of an audio tape to use it to trick someone into helping Kathy get her way. Stepping away from the game play, let’s talk about the visuals a bit. 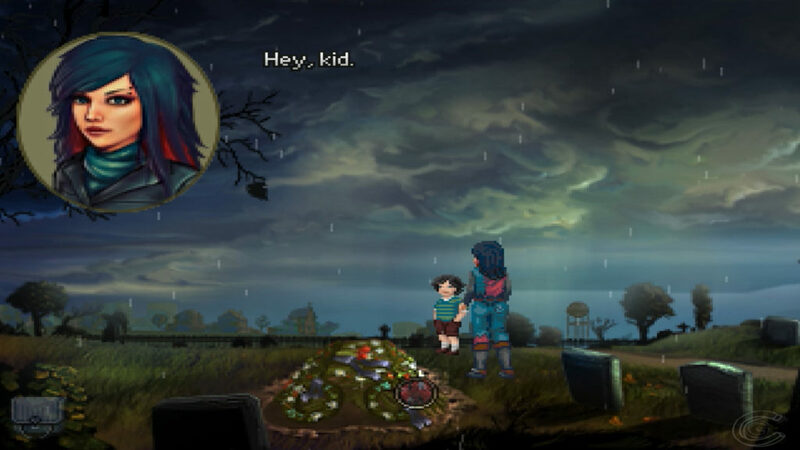 Kathy Rain is another game that harkens back to the good ol’ times of adventure gaming. Expect pixelated sprites surrounded by detailed and colorful backdrops. There are quite a few idle animations but frames were saved when it comes to characters speaking. The character portraits are distinctly represent each actor on screen. Although they are devoid of animation, they do change moods during dialogue sequences. The voiceover is overall pretty great but some of the character voices are too soft. The music is slightly basic with only a few tunes actually sticking in my mind. 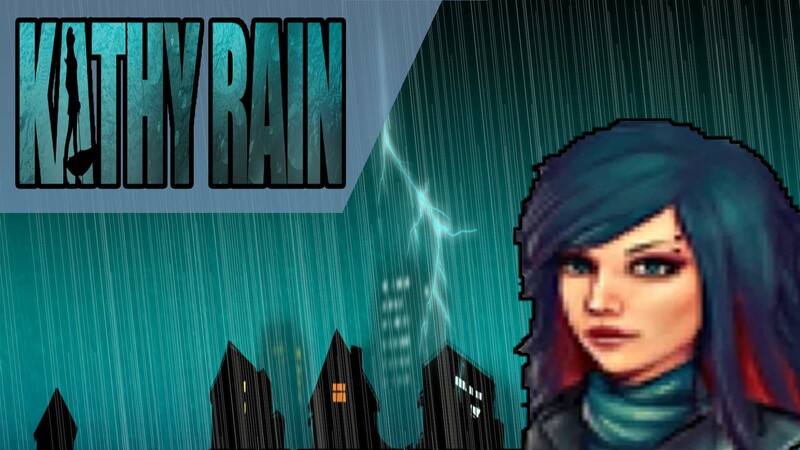 Kathy Rain is an amusing adventure that takes a little too long to get off the ground. It’s not Final Fantasy XIII tutorial levels long but the overall mystery stays buried for far longer than it should. It’s a fascinating mystery on the level of a Murder She Wrote, but those looking for more twists and turns may want to look elsewhere. I recommend this to fans of the Mystery genre but if you have any problem with a story taking more than five hours to flesh out… you need not apply. Next articleWe played through the entirety of Uncharted 4!